Brush guards also come in handy for travel. Speaking of Brush Guards – they’ve been a lifesaver for preventing the brush hairs from splaying and keeping the brush head shape looking like new. I slip one guard on each brush after I wash them, sliding down from the handle onto the bristles. 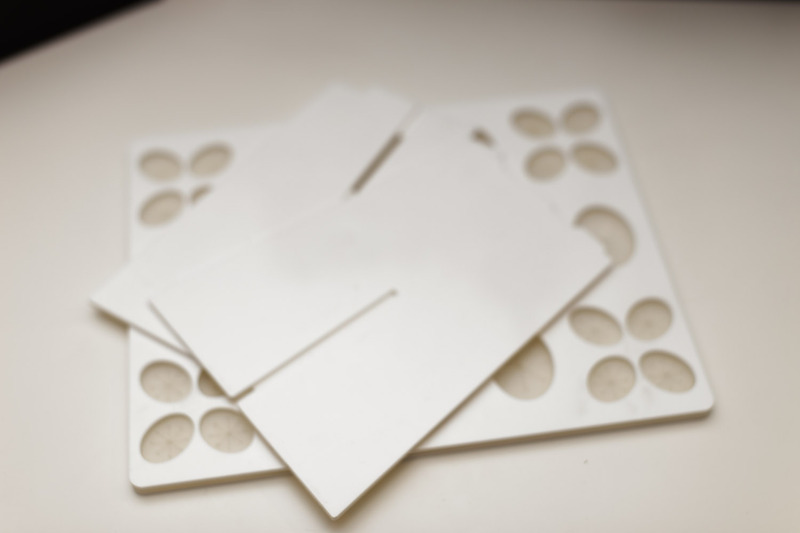 I have a variety of sizes from the original Brush Guards – the plastic they use is thicker than the cheap knock-offs so they retain their shape better. I’ve had mine for years and they’re definitely worth the investment. If you absolutely refuse to buy brush guards, you can always wrap strips of paper towel around each brush head while they’re wet. This thing is godsent. It is well made and well designed. I have the original model, and at minimum, it can hold 14 brushes. It can also hold multiple smaller brushes per opening. The silicone openings grip the brushes securely, while having enough flex to allow the brushes to slide out with ease for removal. The body of the brush tree is made of a thick sturdy plastic – I have this in black but it is also available in white and pink. I have nothing bad to say about the Benjabelle Brush Tree – at $35 USD it may seem expensive, but for me, keeping my brushes in tiptop shape is worth it. There are other models available to suit different needs – I’ve even purchased a few for my friends as gifts! The contraption can be easily collapsed and stored flat. Those are absorbent microfibre dishcloths I bought specifically for this purpose. I prop a rolled up towel on one side so the brushes lay at a slight downward angle (around 160°) to help water run down the bristles and away from the ferrules. I let the brushes dry overnight and most are ready for use by morning. There you have it, how I wash and dry my brushes. I hope this has given you some ideas. 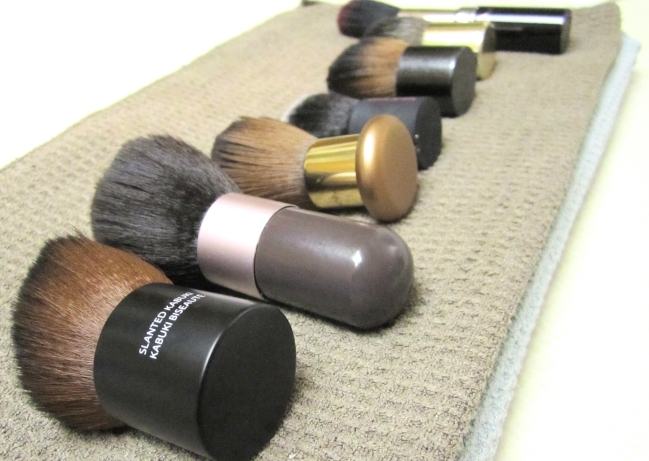 What’s your method to dry your brushes? Next > Book: Can You Get Hooked on Lip Balm? Great post. 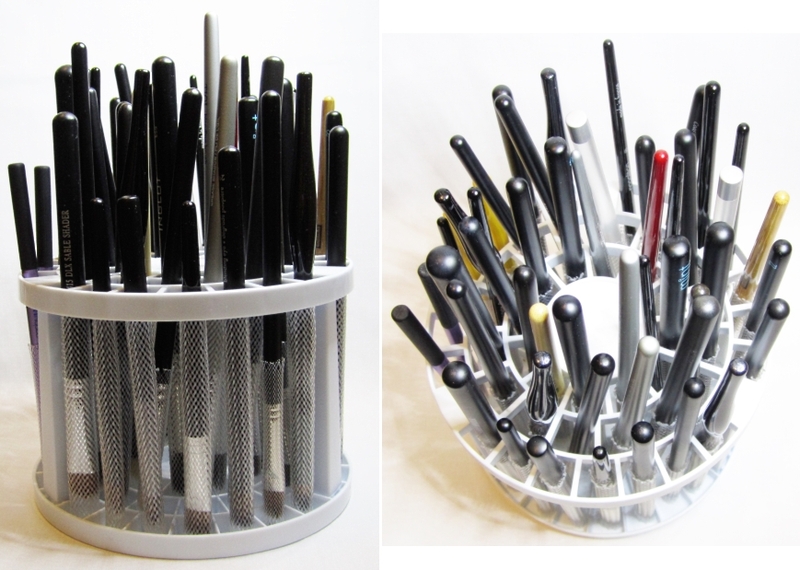 Those drying contraptions look useful, but do you also use them to store clean brushes? Otherwise, where do you keep it? I would consider getting it if it folded to something smaller. Oh wowee! Off to read now! Thanks chikita! I just dry mine with the brush heads hanging off the edge of a towel, this looks pretty cool! I used to do that too but I was running out of surface area to lay all my brushes out when I do a big batch of them at a time. I also find that having the brushes dry vertically help them dry faster due to gravity doing some of the work! Genious! I’ve never thought of using a brush carousel with the brushes inverted! I dry mine off the edge of a towel too but then again I’ve also ruined a few this way. i need to get more brush guards so happy for the link 🙂 Thanks!